A buck and doe are still available from the second litter who will be available 16th June 2018. All stock I'm not keeping have been sold from the first 2 litters. There are 2 Twelve week old boys still available, born 22nd of April. 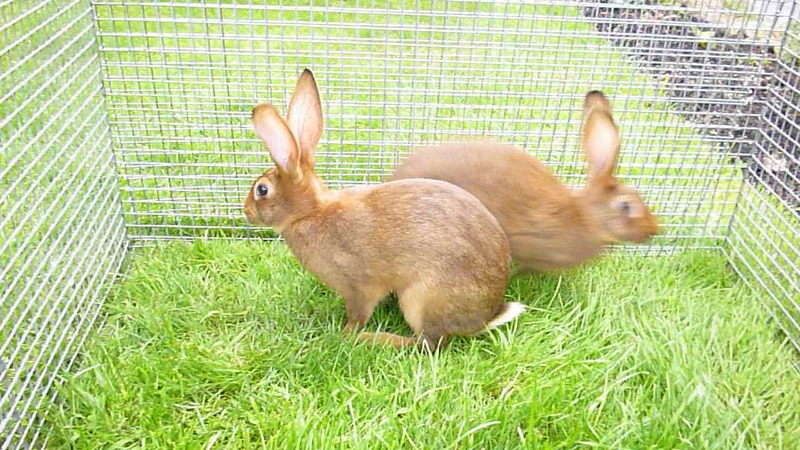 They are vaccinated against Viral Haemorrhagic desease and have been given Coccidiosis preventative medicine and are treated for worms and E. Cuniculi. The last photo in the block is one of them. They are in excellent condition. £40 each NOW SOLD> There wont be any more babies this year although later in the year I may have one or two of my best young bucks which I have been taking to shows available. 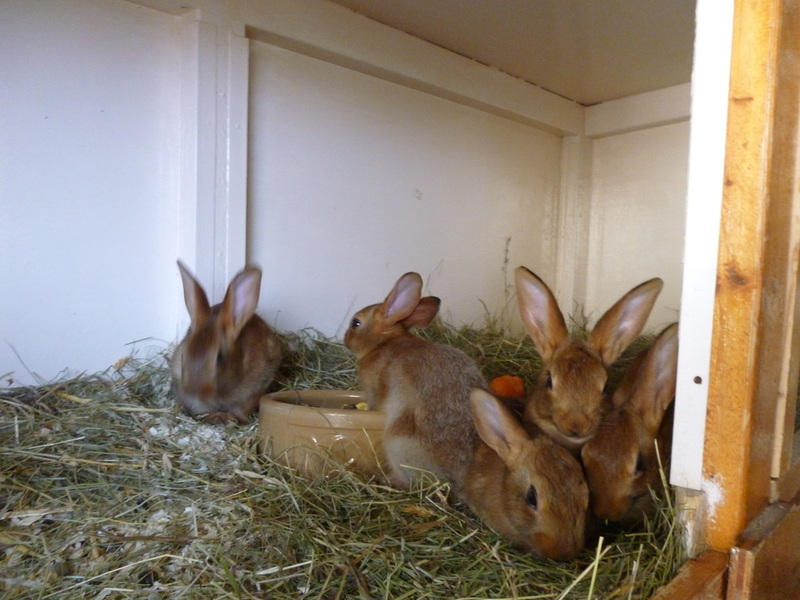 The hares born Spring 2014 have found new homes all over the country and all have done well for their new owners. Of the Hares I kept Mista is just starting his show career and he won his first Best in Show at a Hare show whilst under 6 months. His Mum Reta has bred many winners. Penny is a lovely doe and full of fun. 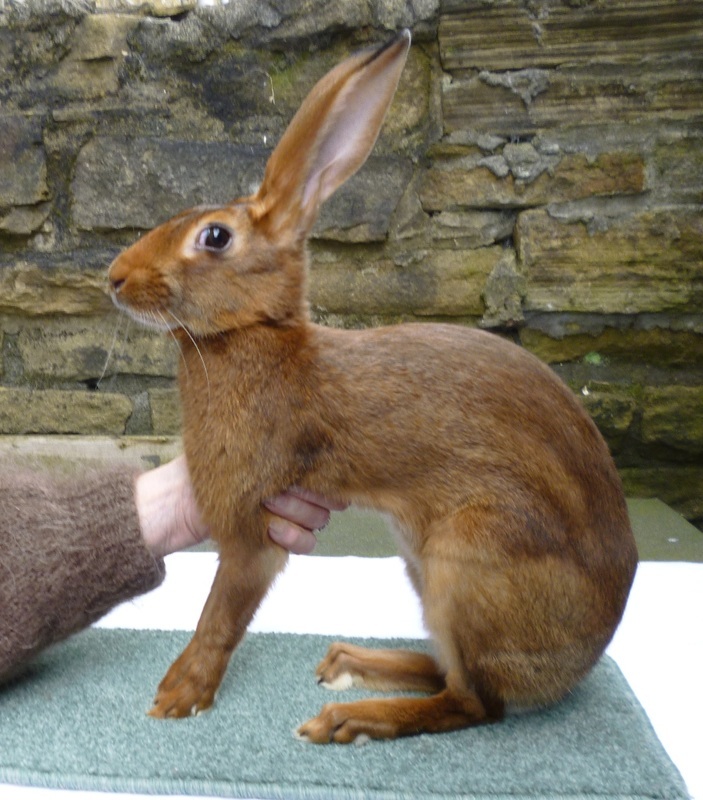 She Has won just about all the shows she has been to this summer including 4 Best in Shows at Belgian Hare shows. She is resting now until she gets her adult coat. Her Mum is Renee and she is just raising her litter of 2 born Oct. This will be her last litter but I feel sure she will have provided another beautiful Hare for me to keep and another to share. Her daughter born at the end of last year is also expecting I hope. Penny returned to the show table and got a 2nd in July 2015 after she had her litter. I'm hoping she will regain even more condition and take first next time. I have babies in 4 ages, from a few days old, to 4 weeks, 8 weeks and 10 weeks old. These born 23rd April.